Trucks are usually loaded with all the stuff a building site needs. There are other trucks that are loaded with food for the grocery stores or other thing that we can buy in a store. Trucks are very useful. 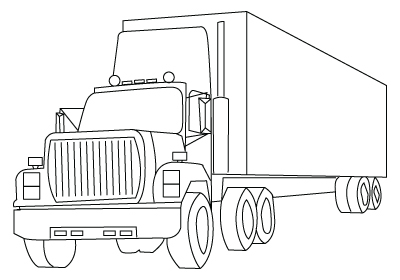 Here is a Truck coloring sheet.